AN INNOVATIVE APPLICATION OF the WHOLISTIC SLS APPROACH TO EMPOWER FAMILIES WHO HAVE FAMILY MEMBERS WITH SPECIAL NEEDS TO BUILD A LIFETIME OF GREAT RELATIONSHIPS WITH GOD, SELF AND OTHERS. Almost no support exists for the parents. The greatest needs are for practical support from peers and lay helpers. These families often develop great ways to survive and thrive but no one asks for their wisdom. Stress brings a high divorce rate. These unique upstream insights offer a clear picture of the family needs and assets. They allow churches and community organizations to offer specific, welcome assistance. Help that can prevent marital conflict and divorce, family dysfunction, spiritual hopelessness and financial ruin. Yes, the parents need insight, training and support, but they have a lot to contribute to organizations and other families. Their expertise, innovation and creativity is incredible. We discovered many of them had invented "Best Practices" for medical, church, and disability care. The research and its applications can change the paradigm of service delivery, reduce its financial cost and dramatically improve the emotional/spiritual condition of the whole village. 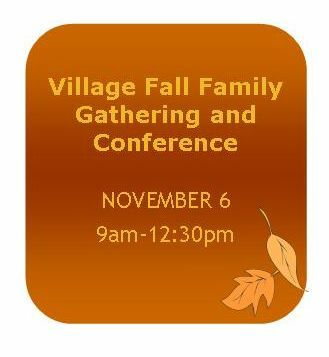 For more information about the "It Takes a Whole Village” project, contact Andrea Bowsher, Program Coordinator, at village@sweetenlife.com or by cell phone at (513)744-4630.